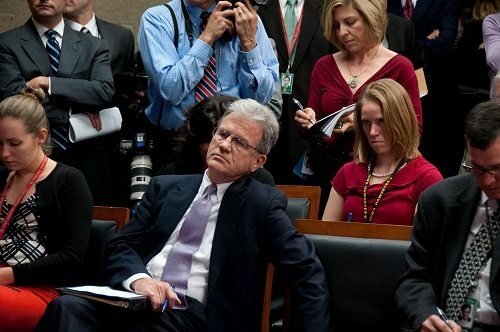 Playing nose tackle for the U.S. Senate, Tom Coburn (R-OK) is ready to throw the National Football League for an Internal Revenue Code loss. Last week, Coburn introduced legislation that would deny tax-exempt status for professional sports leagues with revenues greater than $10 million. The PRO Sports Act would shift a number of 501(c)(6) leagues into taxable corporate status—the National Football League, the National Hockey League, the Professional Golfers Association, the Association of Tennis Professionals Tour, the Women’s Tennis Association Tour, the U.S. Tennis Association, the National Hot Rod Association, and the Professional Rodeo Cowboys Association, though the high-profile target is the very profitable NFL. Essentially, the Coburn legislation would convert the 501(c)(6) NFL into a billion-dollar corporation subject to a 35 percent corporate tax rate. As of Friday, the Library of Congress had not released an official copy of the bill, S.1524, though it appeared initially to have no cosponsors. Coburn’s office distributed a fact sheet that explains Coburn’s rationale for separating the NFL and these other leagues from their (c)(6) status. Like Major League Baseball, which voluntarily gave up its (c)(6) status, the NFL and the other (c)(6) sports league don’t promote “the success of their respective sports—football, ice hockey, and professional golf—but these leagues are clearly organized for profit to promote their specific brands.” (Emphasis in original.) It is the argument that we made here long ago (in 2012, here, and in 2008, here) that, unlike a Chamber of Commerce, which promotes general business in its function as a business league, the NFL exclusively promotes the NFL brand and its 32 member teams, regardless of how many other professional football teams there might be.